Buena Vista Street is not one of the streets in Solano Canyon. 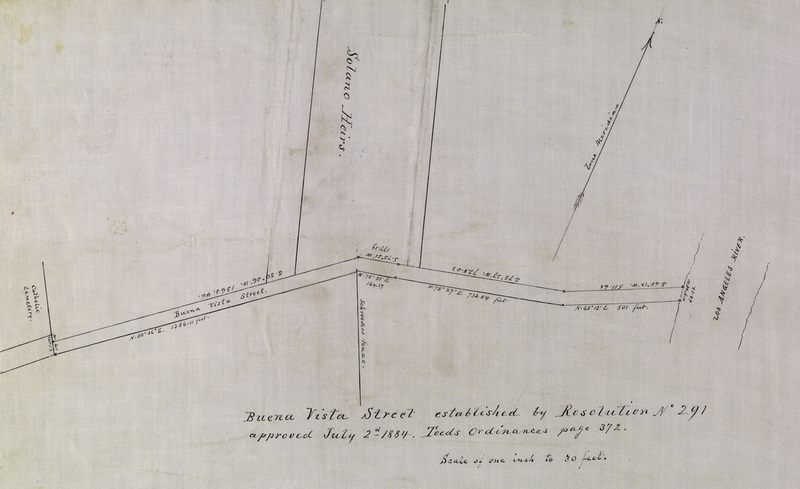 It is included here because it provided road access to the property that Francisco Solano purchased from the City in 1866. Without the access provided by Buena Vista Street, which was 60 feet wide, development of Solano Canyon as a community would have been made difficult. Buena Vista Street was an extension of the street that ran from downtown Los Angeles to Calvary Cemetery, the original Catholic cemetery. The original name of the street was Calle Eternidad, an apt name for a street that ended at a cemetery. The name was later Anglicized to Eternity Street; then, in 1888, when Alfred Solano surveyed his father's 67 acres in the Stone Quarry Hills, the street was extended, past the Solano property to the Los Angeles River and beyond, and its name was changed to Buena Vista Road. A public sewer to Solano Avenue was authorized and built in 1889 and an extension of the sewer to Casanova Street was constructed in 1905. Buena Vista Road became known popularly as Buena Vista Street, and it survived several attempts to re-name it North Broadway; it remained Buena Vista Street until November, 1909, when its name was officially changed to North Broadway. 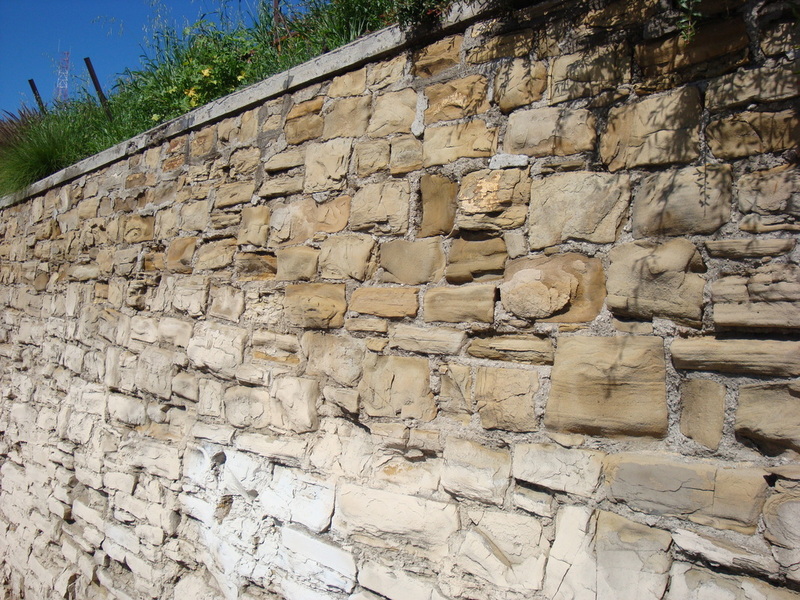 One historical feature on Buena Vista Street (now, North Broadway) that is á propos Solano Canyon is the historic stone retaining wall that was built of native stone that was quarried from the Stone Quarry Hills. This wall supported a level house lot in Solano Canyon Lot 100 at 1425 Buena Vista Road. The lot was allocated to María Solano, Alfred's sister and the wife of Guillermo Bouett, who built a house in which they lived until María moved to Long Beach about 1920 to live with her daughter, María Bouett Jones following the accidental death of her husband, Guillermo Bouett, a Captain in the Los Angeles County Sheriff's Department, in the line of duty in 1913.